On my daughter Namtso Kyi’s swim bag. I guess most of us need cheering up this week. The only comfort food I know that might just begin to do that is a plate of steaming momos. Even writing about it makes me feel a little more positive and hopeful than I did a moment ago. 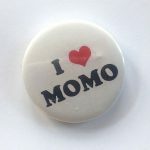 I am also writing this post to celebrate the “Epic Momo Crawl” that TimeOut New York has announced is taking place today at Jackson Heights (“Momo capital of North America” according to Prof. Elliot Sperling), where lucky New Yorkers can wander around the Sherpa, Bhutanese, Tibetan and Nepali restaurants and sample momos for a dollar each, and vote for their favorite before they leave. 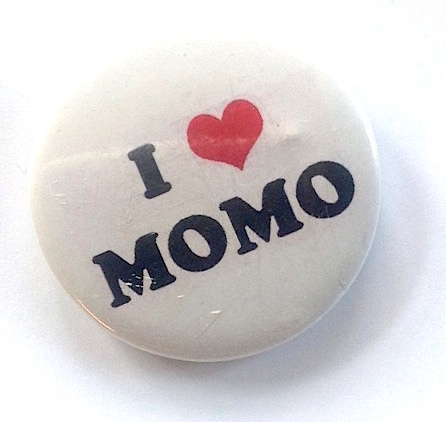 My first momo post was also written for a “Momo Crawl” (that of 2015). A Queen’s restauranter had emailed me about claims being bandied about in some corner of Jackson Heights that momos were actually Nepali in origin and only later adopted by Tibetans. I think I managed to deal with that assertion to everyone’s satisfaction. In that post I also demonstrated how Tibetan momos were very different from Chinese baozi dumplings, and closer, culturally speaking, to the Mongol (buuz) and the Central Asian (manti) . You might re-read that piece before carrying on because I would like to address a number of comment and criticisms I received. 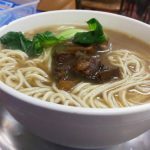 In traditional Tibetan cooking there is simply no tradition of steamed food. The older steamers were made out of copper or brass, they were simply too expensive for ordinary households and had to be beaten by hand. Only the wealthiest family could afford such utensils. The aluminium steamers became widely introduced to Lhasa only in the 1950s when they were imported from Calcutta where there was a sizeable Chinese community who were manufacturing them. First of all I must take issue with the assertion that the common people in Tibet could not afford copper and brass steamers and utensils. It is not only mistaken but ridiculous. Even the humblest of Tibetan kitchens in the past always managed a good display of brass ladles, tea pots, braziers etc., as photographs of kitchens in old Tibet and even Ladakh clearly reveal. 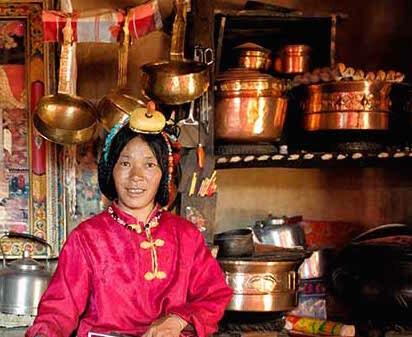 But let’s say for the sake of argument that the average Tibetan could not afford brass or copper steamers and utensils. Then what could they use that would be cheap and affordable? Earthernware, of course. Jetsun Mila cooked his nettle soup in an earthernware pot, if I remember the story right, and he was among the poorest of the poor. But were there such things as earternware momo steamers in old Tibet? One of my readers from Lhasa sent me a photograph of a set of glazed earthern-ware steamers belonging to his parents that were made in Nyuk , a village in Tanak, Tsang, which Gyurme Dorje’s Tibet Guide says was famous for its terracotta pottery. Earthernware momo steamer most likely made in the village of Nyuk in Tanag, Tsang. Courtesy of my anonymous contributor. 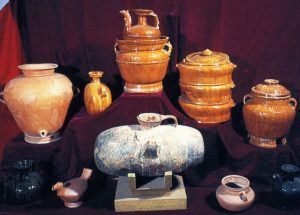 Even a Chinese propaganda book on Tibetan history and culture, provides a photograph of ancient Tibetan earthernware including a momo-steamer on display at the Tibet Museum in Lhasa. 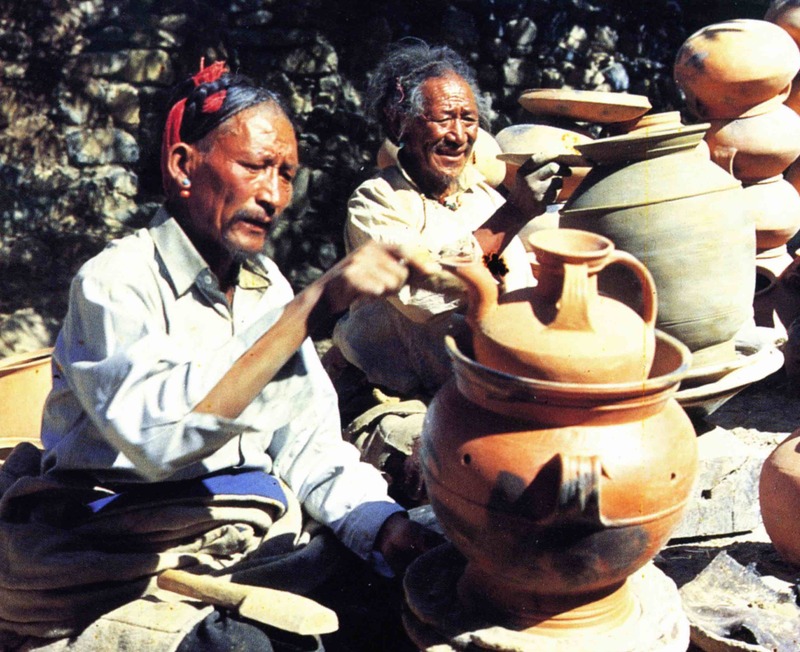 Traditional Tibetan earthenware utensils, A Survey of Tibet, Tibet People’s Publishing House, 1987. Tibetan potters of Nyuk village. Note the teapot- brazier set (mephor-khoti). A Survey of Tibet, Tibet People’s Publishing House, 1987. Why did you compare momos with Chinese baozi? They are two completely different things. Everyone knows this and it does not need to be argued. The more interesting comparison would be with momos and Chinese steamed jiaozi or fried guotiar. The meat fillings by sometimes different but the pastry and shape are similar. No need however to get into an endless and fruitless chicken and egg argument. Many Tibetans were hurt by a Chinese girl who came to her personal social media called 美拍 which was casting live and terribly insulted Tibetans by speaking such a rude and offensive language. Many Tibetans responded very decently ,,,they are not only asking apology for her misbehavior and offensive words , but also demanding Chinese court to take an action against the crime she committed. Could you write something about this issue? I don’t care for society, because I am a nationalist. If I am not that patriot, I wouldn’t bother being careless for society – deliberate carelessness- in the way I am. My love for my country, Tibet, makes me an apathist, who-cares kind of person. Let things go as it goes. When opportunist self-serving CTA officials ask me why I am not contributing anything to tibetan community, I answers saying “because I love my country, Tibet, and that’s the only reason why I am not contributing anything to my society to which I love dearly. I don’t even participate in 10th march protest, just because I am a nationalist. If I am not a nationalist like you all, why I should bother posting this piece here in JN’s blog. I read your post with my usual enthusiasm. I’m a little skeptical about the accuracy of your Tibetan term “mok-tro” for momo steamer. I have seen this term in one of your previous pieces (Biting into a Juicy Momo Mystery) and thought nothing of it at the time. But this time you have provided, in parentheses, the English translation “cast iron” which prompted me to pause and do a quick search. What I found in some of the popular Tibetan lexicographical references that I looked up seem to confirm my skepticism. Mog-tru (Wylie Tib: mog phru) is the term found in popular Tibetan dictionaries, not mok-tro (Wylie Tib: mog khro). And the second syllable phru means earthenware (See Dag yig gsar bsgrigs @ phru,4th meaning), it is also combined with other words to form words such as phru ba and phru snod , both of which mean earthen pot (See Bod rgya tshig mdzod chen mo). 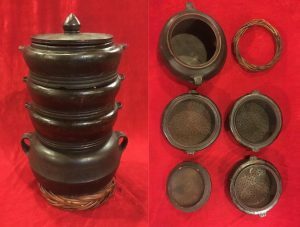 Besides these textual evidences, the photo of earthen momo-steamer you shared provides an excellent artefactual evidence to explain the meaning of the term mog phru. So I’m wondering if “mok-tro”, as you spell it, is based on mispronunciation (unless there was a tradition of making momo steamers out of cast iron) of mog-tru (mog phru), and to use that as your basis for translation (“tro: cast iron”) makes this rather inconsequential pronunciation error into something more serious, a case of how a word enters into the realm of folk etymology. Thank you for writing tirelessly. Thank you Yonten Gyatso la for your well researched comment. I think you are correct that the term should be “mok-tru” meaning an earternware steamer and not “mok-tro” meaning a cast iron steamer. I stand corrected. Please do not hesitate to point out and correct any mistakes I have made in my posts. You mentioned a reader from Lhasa,Tibet, reading your post and sending you momo pictures. I am wondering how does he manage to do that given that chinese authorities would probably be checking effing hard on cyber activities of tibetans? That chinese girl was nothing but an attention seeker. And she is lonely. And she was looking for issues and causes to rally behind. Just to throw in my two-bits on “mok-tro”, on the technical aspect it would be much more difficult to manufacture than one made of Clay. Due to iron mongering being deemed a low cast work, I do not think many Tibetans did any heavy Smelting and Casting work with iron after Buddhism came to Tibet, I should think. I may be wrong. Importing iron would also be quite difficult I suppose? Jamyangla, I have a question. Is Pholanas who according to your blog composed the old Tibetan national hymn the same person as Miwang Sonam Tobgyal who died in 1747 according to the Tentsi Kunle Tuepa (chronology) of Tsetan Shabdrung? According to the autobiography of Shabkar Tsogdruk Rangdrol, the four line stanza you call an old Tibetan national hymn was offered to the IXth Dalai Lama, Lungtog Gyatso by Shabkar as part of a seven branch prayer (The Life of Shabkar, The Autobiography of a Tibetan Yogin, Translated by matthieu Ricard & others). I am so sad to hear about the sudden passing away of Prof Elliot Sperling. It is a sad day for Tibetans. He will be in our prayers. I am sure lots of readers are waiting for JN’s write-up on late prof. Sperling whose contribution to Tibetan discourse is extensive and wide-ranging , and was a major force in getting Tibet studies as a legitimate course of study in university. JN and Sperling are good buddies, I hear- and the former is a die-hard fan of later’s incisive writings, and of course, occasional digs flung on Dalai Lama’s jolly old face. Guys, this ongoing hue and cry at Dharamsala on a mission by an idiot called Gyare Thar in expelling Lukar and his family from dhasa. I am a big fan of CTA sponsored conferences that engages with the citizens. Right now, the Tibetan Women’s Empowerment Conference is going on amidst much hoopla and rejoicing. The Tibetan Women’s Empowerment Conference made me think of the Tenzingang incident; remember that? I don’t want to harp on the incident, but that seems like the perfect place to start the process of raising consciousness about social issues. Social media conferences alone (plenary or otherwise), while it has that surface attractiveness, may only be preaching to the choir. Whereas for real change, I am afraid we must venture into the Settlements and Schools, where change in ideals and attitudes are most needed. I couldn’t help but notice how choked up the Sikyong got at the maiden Tibetan Women’s Empowerment Conference. They even had the Oracles standing by in case he lost it completely. Now where have i heard this” Empowering Tibetan Women” rhetoric before? Oh, that’s right!! Miss Tibet!! 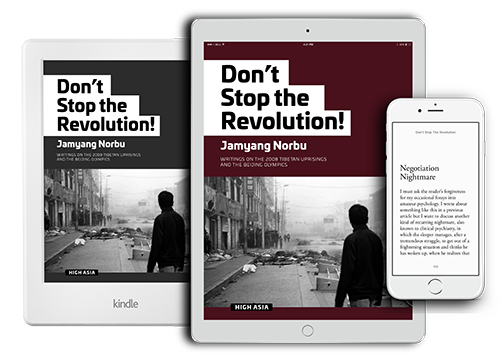 Lobsang Wangyal, the emancipator of Tibetan Women! So it’s rather strange that Tibet Sun has not written a word on the maiden Tibetan Women’s Empowerment Conference. Forget opinion, they hadn’t even bothered to Report the event. Now, some might mistake this silence to self serving motives, but I think the man has just moved on to empowering bigger and better things, like sheboys & crossdressers. Is it ethical that Radio Free Asia broadcasted last years Losar greetings by His Holiness the Dalai Lama since Gaden Prodang did issue a new one. I am shocked when I heard it on RFA tv broadcast. Many people take it as an inauspicious sign when his holiness is alive why broadcast old recordings. Seems we could do with more Lukar Jams in our exile society because the opinion of just one has the whole Tibetan parliamentary proceedings passionately engaged. The complete gamut of human emotions were on display minus the out and out sobbing. We may get there yet, it’s still early in the proceedings. It’s unfortunate a question of note raised by one lady Chidue on how the Sangay Administration will approach the Trump Administration got lost among the Lukar Jam hysteria. When the Sikyong finally stood up to address the house, I thought, great!, at last sanity will be restored!! Boy, was I wrong. 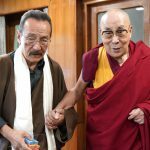 The Sikyong…. Well, lets just say the Sikyong didnt exactly help the situation any when he, in the most painstaking and tedious way, attempted to impress upon all, what one and one and three actually meant Followed by the PMs penetrating insights into the psychological makeup and motivations of the psychopath known as Lukar Jam that only a Harvard law grad is uniquely qualified to diagnose. Then, tea break. Then, like the mythical Ouroboros which swallows its own tail, back to Lukar Jam. Once when returning to the livestream in midstream, I noticed all the MPs were busy scribbling and thought, are they now drawing Lukar Jam? I was wrong thank God. Lukar Jam is taking our democratic pulse. We are brave in our claims of having taken great strides in democratic practise, like the Sikyong bragging about the presence of women deputies in our national legislature long before the distaff side of Swiss society had theirs. But a daisy does not make the spring. We are not yet out of the woods in our understanding of liberal democracy, let alone in its practise. By culture and creed we have so much historical baggage to jettison before we can truly call ourselves democrats. Intolerance of the opinions of others is at the root of our aversion for people like Lukar Jam. Tolerance is a virtue Buddhism teaches us to perfect as bzodpa. The Buddha says that there is no renunciation as sublime as bzodpa. We aspire for that as Buddhists, but fall far short in its practise. Wow! I really need one of those pots right now! Absolutely gorgeous! I would really love to have one, and would put it to very good use!